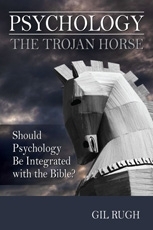 In recent years the Church has been integrating the theories of modern psychology with the Bible. As a result, many Christian psychologists have become the recognized experts for helping Christians with their practical, daily living. But is there a place for psychology in Christianity? The issue of integrating psychology with the Bible is one that all Christians must face since it concerns the nature of man and the sufficiency of Scripture. Pastor Rugh examines the use of psychology in the Church and challenges believers to return to the Word of God in all matters concerning life and godliness.